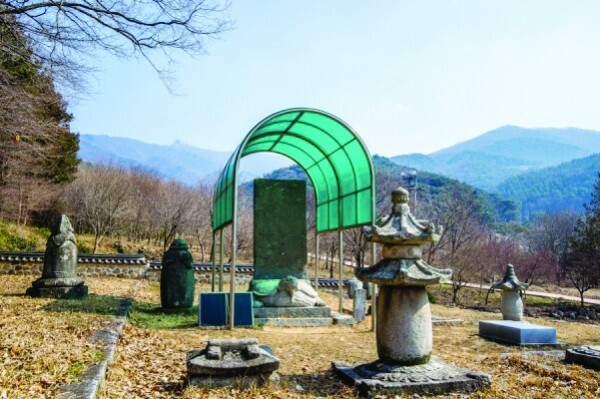 The first Geumsan temple was originally built in 599, in the first year of King Beop of the Baekje Dynasty. Afterwards, in 722, during the second year of King Haegong of the Unified Silla Period, Precept Master Jinpyo enshrined aniron statue of the Maitreya, or the Buddha of the Future, 33 cheok (9.99 m) tall. From that point on, the temple was greatly expanded due to the popularity of the Maitreyan belief system. 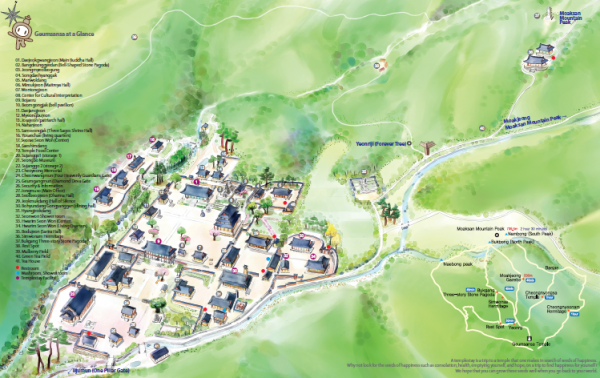 Geumsansa enjoyed prosperity, with approximately 80 buildings and 40 hermitages, until the year 1079, during the time of King Munjong of the Goryeo Dynasty. Unfortunately, all of the buildings were destroyed during the Imjin War, or the Japanese Invasion (1592-1596). Regardless, the restoration effort initiated during King Injo’s reign during the Joseon Dynasty began with reconstructing Daejeokgwangjeon, or the Main Buddha Hall, as well as Mireukjeon or the Hall of the Buddha of the Future. These restoration efforts continue to this day. Daejeokgwangjeon is the dharma hall which enshrines Vairochana Buddha, the owner of Yeonhwajang, or the Land of the Lotus Flower. 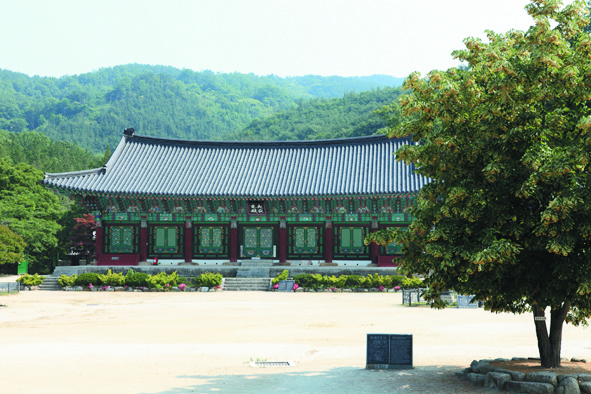 Though its original building was from the Joseon dynasty, a fire in 1986 destroyed it. Fortunately, the building was completely restored in 1994. There are five Buddhas here: Vairochana Buddha, the Buddha of Cosmic Energy; Rocana Buddha, the Reward Body Buddha; Shakyamuni Buddha, the Historical Buddha; Amitabha Buddha, the Buddha of the Western Paradise; and Yaksayore-bul or Bhaisajyaguru Buddha, the Medicine Buddha. In addition, there are six bodhisattvas: Mansujuri Bodhisattva, the Bodhisattva of Wisdom; Bhyunbosal (a.k.a. Samantabhadra Bodhisattva), the Bodhisattva of Power; Gwanseeumbosal (a.k.a.Avalokiteshvara Bodhisattva), the Bodhisattva of Compassion; Daesaejibosal (a.k.a.Mahasthamaprapta Bodhisattva), the Bodhisattva of Wisdom and Power for Amita-bul; Ilgwangbosal, Bodhisattva of Sunlight; and Wolgwangbosal, Bodhisattva of Moonlight. In addition, this hall holds a framed picture of Seokjeon (pseudonym) Wook Hwang’s (黃旭, 1898-1993) calligraphy writing from 1991. Seokjeon developed his own writing style called, “Ak writing,” which you can see in this picture. Starting with the enshrinement of the iron statue of Maitreya, Buddha of the Future, 33 cheok (9.99 m) tall by Precept Master Jinpyo during the late Silla Dynasty, the three-story high hall called Mireukjeon was added by Great Master Sumun during King Injo’s reign, in the Joseon Dynasty. Fortunately, followers have been able to preserve those buildings intact to this day. At the center, the 11.82 m tall Maitreya Buddha is flanked by two Bodhisattvas, Beophwarimbosal and Daemyosangbosal. Maitreya Buddha is referred to as “the hope of Buddha,” who will lead us to the road of enlightenment, away from the vicious cycle of samara karma. The hanging board of Daejabojeon on the first floor was written in 1938 by Jinmin Kim, an excellent calligraphist, when he was only 18. 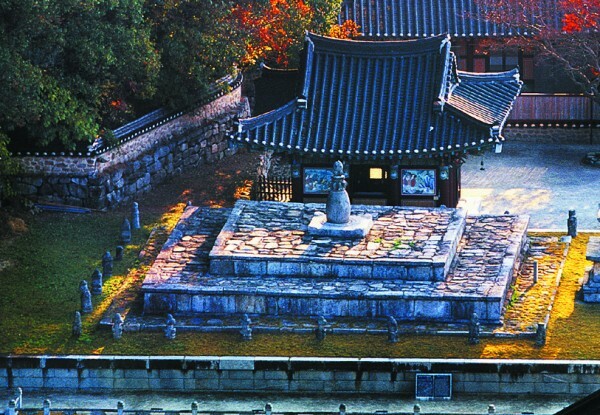 This structure was founded around the early Goryeo Dynasty, and is the location where ordination ceremonies are performed. Here, practitioners vow to take their precepts. This is one of the three core practicing principles of Buddhism: Gye, or Vinaya (discipline); Jeong, or mindfulness, and Hye, or wisdom. The name Bangdeunggyedan means that this Gye influences your mind and body equally. The Five-story Stone Pagoda (Treasure No. 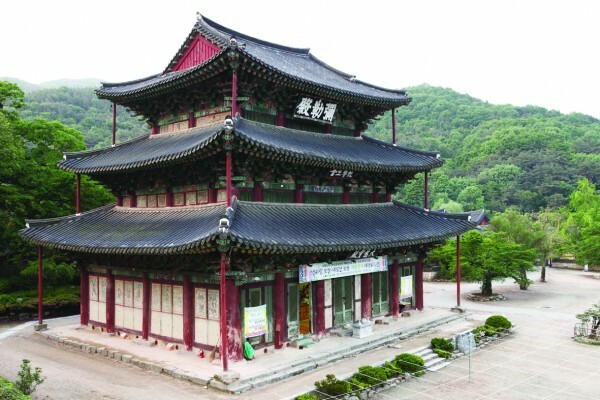 25) next to Bangdeunggyedan is the typical stone pagoda of the Baekjae Dynasty period. This type of pagoda was popular during the early Goryeo Dynasty. We highly recommend sitting by Bangdeunggyedan at sunset, and watching the sun go down beyond the pagoda. be a meaningful way to pass the time? Morning sunlight is the warmest of all.